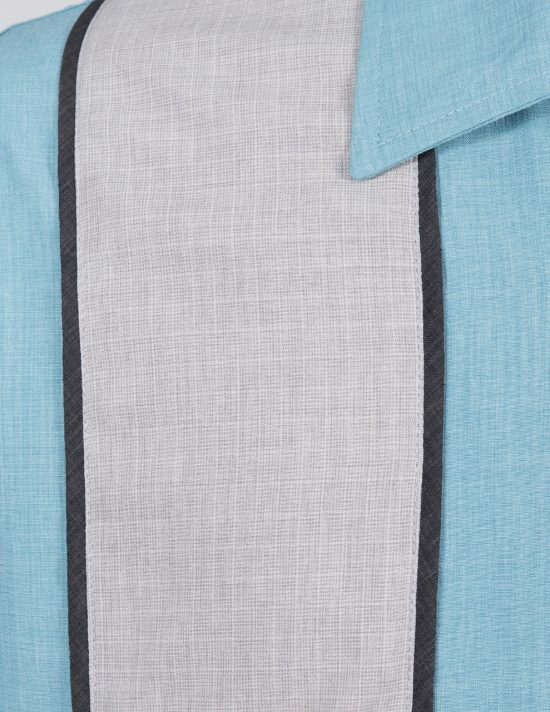 SKU: 4095. 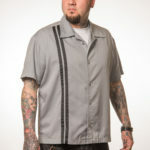 Category: Men's Shirts. 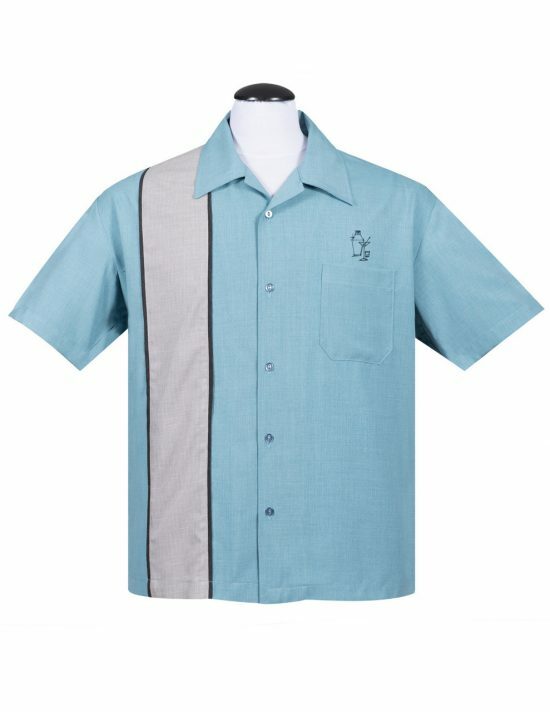 Time to get a drink and the Palm Springs Cocktail Button Up Shirt is the perfect thing to wear to the tiki bar! 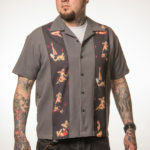 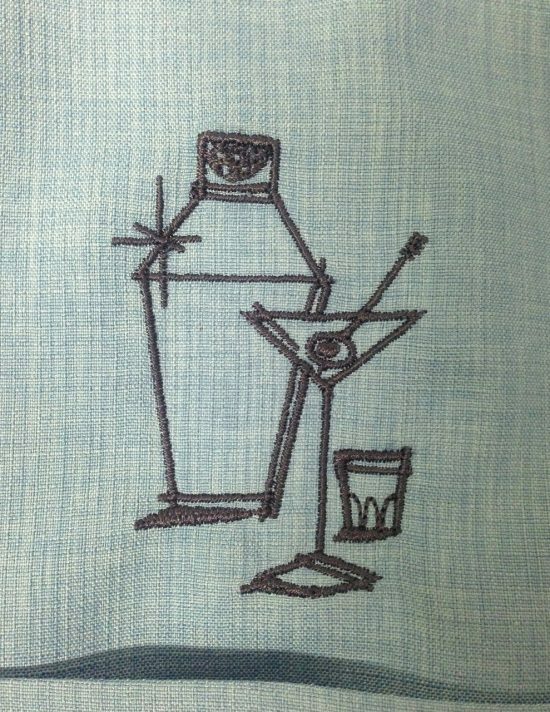 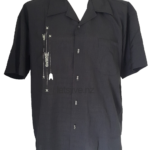 This single panel bowling shirt features an embroidery of a drink shaker, a martini glass and a tumbler on the left front of the shirt, right about the breast pocket. Available in Olive and Sea Foam.